Vicky Bronaugh with daughter Mary from Redondo Beach, and Lauren Crotty of Hermosa work on the roof alongside the family receiving a home. Eight years ago, long-time Redondo Beach residents Michael and Chrissy Miles found themselves saying goodbye to a dear friend who was dying from cancer. Over dinner the friend revealed that one of his most treasured achievements was helping to build a home with his family for Homes of Hope in Mexico. The Miles were surprised, because the friend’s family had traveled the globe and lived a very full life. Volunteers (not in order): Cas, Sheri, Josie, Kara, Mia Milewski, of Manhattan Beach: Dr. Vanessa Hernandez, of Manhattan Beach: Matt, Nancy, Chase, Molly, McLean Grimes, of Manhattan Beach: Heather Buchta, Lawndale John, Kim, Jake and Grace Hopper, of Torrance: Alfonzo “Fonzie” Sanchez, from Homes of Hope (Fonzie has built with us every single year -he is a legend and full time staff with Homes of Hope). Lauren Crotty of Hermosa Beach helping paint with a neighborhood boy. Not long afterwards, Michael, a music producer and Chrissy, a magazine executive, contacted Homes of Hope, in San Antonio Del Mar, Mexico. The nonprofit was founded in 1991 by Sean and Janet Lambert, whose vision was to mobilize groups that wanted to serve the people of Mexico in practical and spiritual ways. Homes of Hope trains and equips groups to build homes for needy families in just two days. The recipient families must own their land and have a history of at least six months of consistent payments. They all reside in the Colonias of Tijuana, where most families earn about $65 a week and live with dirt floors and no running water. Davy Miles of Redondo Beach gets a thank you hug from a neighborhood girl. 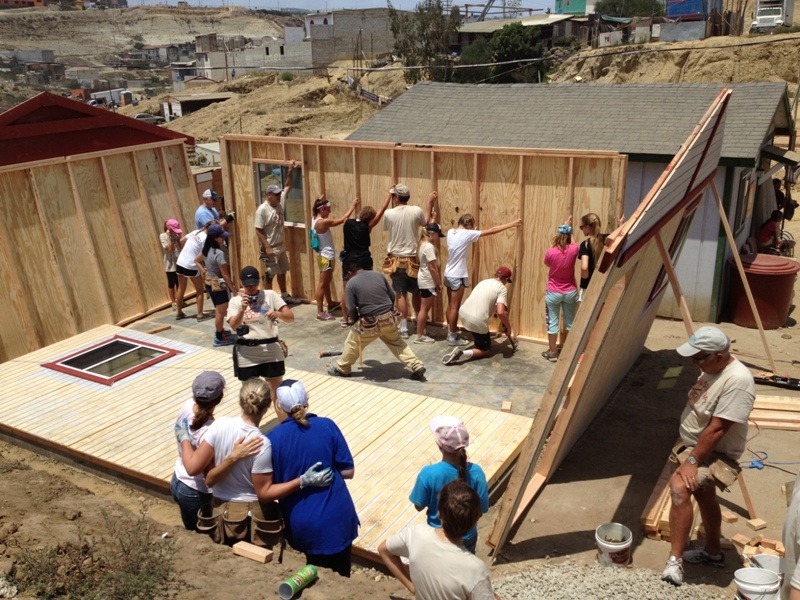 The Miles worked with a small group, mostly from Rock Covenant Church in Manhattan Beach, to build their first home in 2009. Fundraising was a challenge and for the first few years, they were able to build just one home a year. Each home costs about $10,000. But as word spread, the Miles of Hope team grew larger, and Comedy and Magic Club in Hermosa Beach offered to host an annual fundraiser. Mark Berggren, whose Manhattan Beach company Coastal Interactive provides IT services, built a website that has helped Miles of Hope raise over $200,000. Photographer Bo Bridges and other local business owners donate auction items for the Comedy Club fundraisers. Homes of Hope lays the concrete foundations for the houses and assigns experienced builders to lead the groups. Alfonzo “Fonzie” Sanchez has been the builder assigned to work with Miles of Hope since their first year and has achieved legend’s status for never failing to complete the homes on time. The only skill required of the volunteers is a desire to help people for a weekend. Young children help paint. “It’s a very special to work alongside the family receiving a home. By the middle of the first day, half of the neighborhood has arrived to help out. 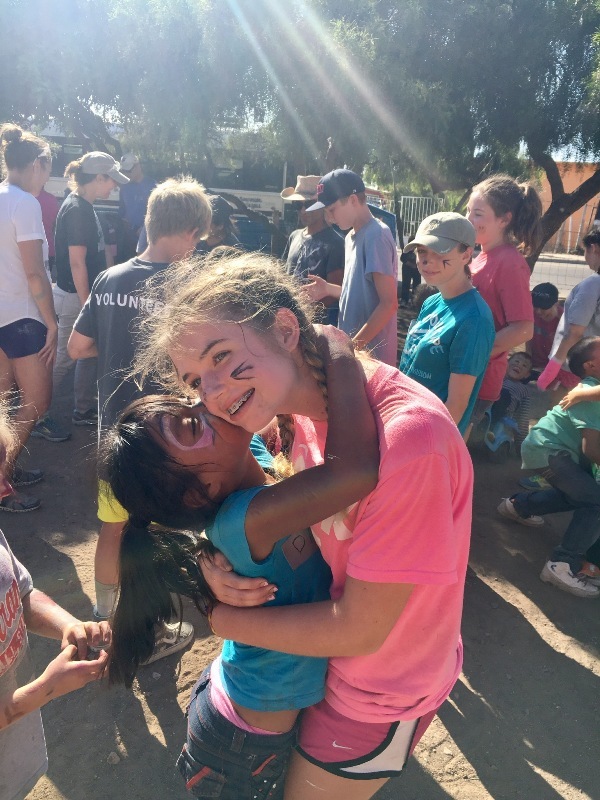 It’s really magical to watch all of our kids not only work hard, but also play a pickup game of soccer or uno with the local kids,” said volunteer Nancy Grimes, of Manhattan Beach. At the end of the first work day, the group gets on their team bus and heads to the Homes of Hope base in San Antonio Del Mar to clean up and share stories. Many homes in the Colonias of Tijuana are made of discarded scrap wood and cardboard. “These nights are incredibly special. Sitting around the patio eating a delicious Mexican meal lends itself to sharing stories and getting to know all the team members better. There is a large soccer field overlooking the ocean where the kids and teens always seem to end up. We go home with much richer and deeper friendships,” said Sheri Milewski, another volunteer from Manhattan Beach. On the second day, just as in an episode of “Extreme Home Makeover,” there is a mad rush to get the house done, the furniture in and the lights on before the new home’s family arrives back from their surprise shopping trip. “Seeing the tears in the family’s eyes when you hand them the keys to the home you just helped build is unreal. And taking a vacation where my whole family can help make the world a little better is very grounding for all of us,” Michael Miles said. 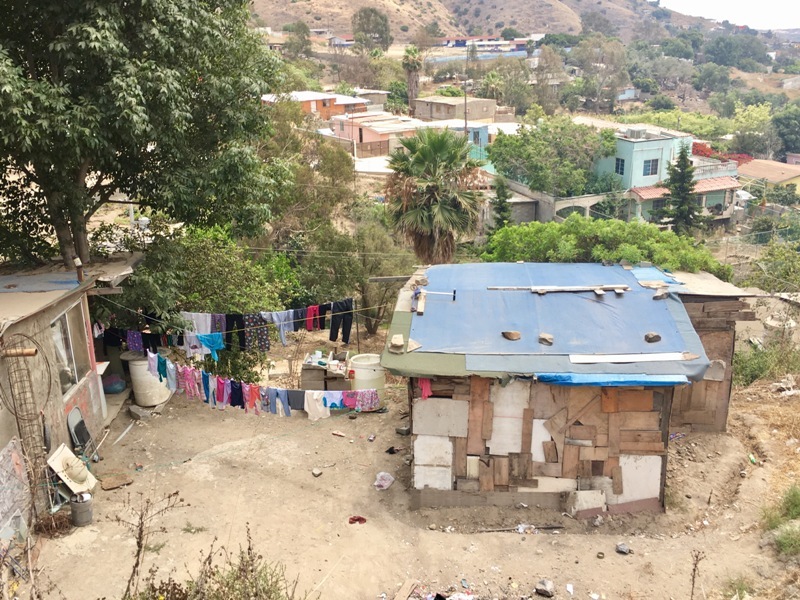 In July, Miles of Hope will take a team of 34 families (135 people) to Colonias of Tijuana to build five homes, bringing to 20 the number of homes they have built in just eight years. “A mother told me, after we finished her new home, it was her first home that did not have dirt floors,” Chrissy Miles said. 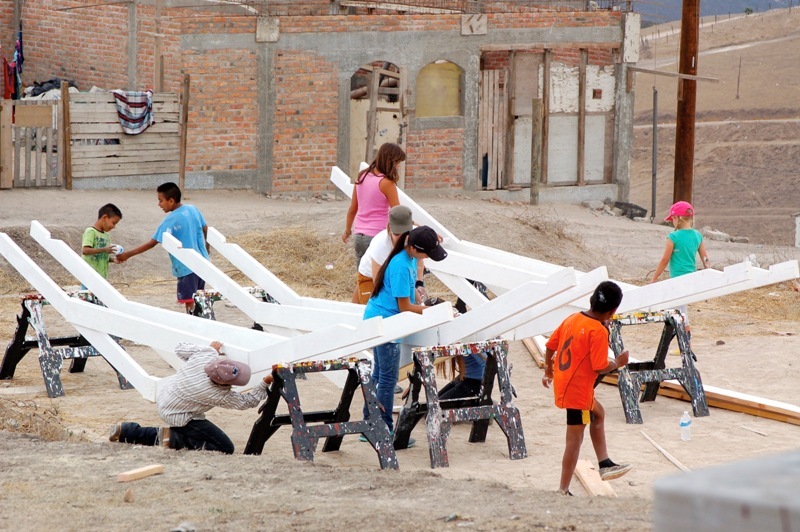 Homes of Hope has transformed the Colonias of Tijuana by building over 6,000 homes since its founding 26 years ago. 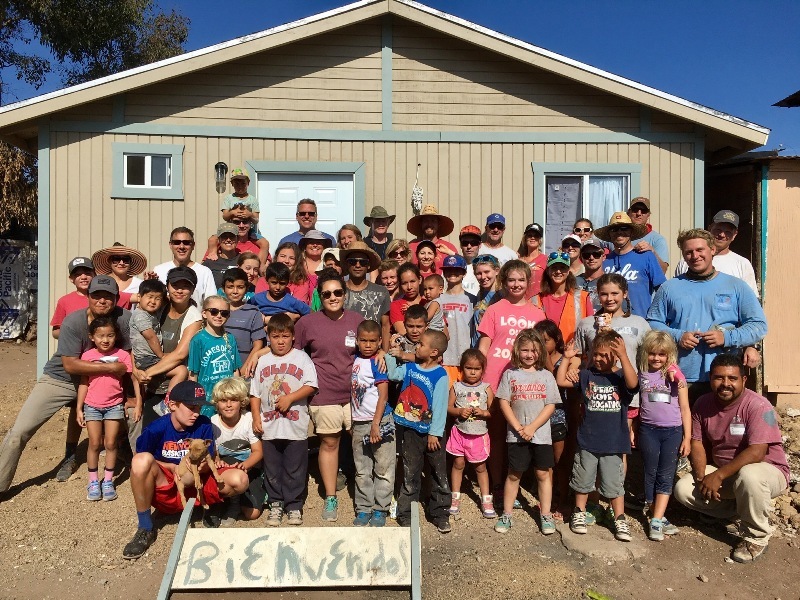 To learn more about Homes of Hope visit ywamsandiegobaja.org.